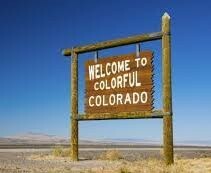 Our Newest Distributor State - Colorado! It is with great pleasure that we welcome Estate Brands Distribution Company of Denver Colorado to the growing list of distributor partners representing the Heavenly Spirits portfolio. Estate Brands specializes in hand-picked wines and specialty spirits. Colorado becomes the 25th state where you can buy Heavenly Spirits products. Just barely getting out of Providence, RI between two major snow storms, we traveled out to Colorado in mid-February to meet with the owners and some of the sales crew. While we were there, we ate and drank at some amazing places, and spoke with some very knowledgable people in the trade. Bistro Vendome, already a client, is where we dined the first night and we thoroughly enjoyed not only the authentic French cuisine but talking with the pleasant local couple who were dining at the bar next to us. Robin was our bartender and she made us a perfect aperitif cocktail built around calvados Roger Groult, Reserve. Crepes & Crepes on 16th Street, who we hope will soon be carrying some of our products, was one of the last places we visited in Denver and it was fantastic. On a cold and blustery day, it provided a warm and comfortable haven, with an authentic French atmosphere and menu. The crepes were perfectly made and as tasty and wonderful as any I had ever experienced anywhere, including France. We also spent an enjoyable evening at the "Source," a new and trending artisan food co-op type of space, located in a former brick factory with two restaurants, a butcher, a bakery, a cheese shop, a wine and spirits boutique retailer and an excellent little bar called RiNo Yacht Club in the middle of it all. Owned and managed by respected Denver Mixologist, Mclain Hedges, "RiNo" stands for Platte River North and the venue is totally worth a visit if you are in Denver. A few other dining establishments we visited include: Snooze, Appaloosa, Ship Tavern and Churchill Bar, the latter two connected to our hotel. We also had the pleasure of visiting the following spirits retailers, most of them already carried our products: Avon Liquor, Valet, The Bottle Shop, Argonauts, Hazel's, Beaver Liquors, and Apple Jacks. It was a great trip overall, and we are pleased to have the Heavenly Spirits portfolio now available in such a dynamic and exciting place as Colorado. See photos from our trip in the Gallery. Did you know Colorado averages 300 days of sunshine per year? Want to receive news and updates? By filling out this form, you are opting to receive newsletters and other communications from us via email. We do not share your information with third parties. Click on event for more details.